IDW have posted the cover artwork for Bumblebee: Go for the Gold on their Twitter account. 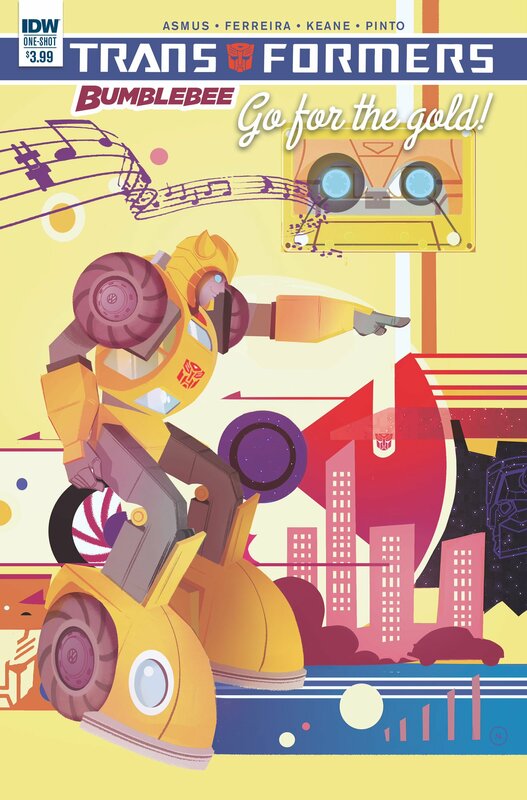 The upcoming one-shot is a follow-up to Bumblebee: Win if you Dare, a wonderfully retro-feeling Generation 1 inspired tale that focused on the fun of Transformers with a healthy dose of Generation 1 nostalgia, and it sounds like we might get more of the same here. Check out the cover artwork by Nicoletta Baldari attached to this post.